(Portland, Oregon) – Another sizable storm is coming for Oregon, Portland, the Willamette Valley, southern Washington and the Oregon coast, and then another is likely on the way for the weekend. It's not good news for the eclipse today or for commuters, but storm watching will be awesome. 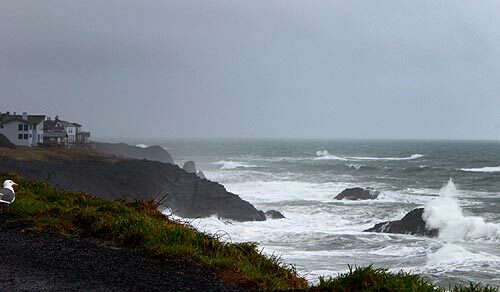 The National Weather Service (NWS) in Portland said no heavy winds are predicted for the coast, but it will be a bit more soggy than Portland, Salem, Eugene and other parts of the state. An inch and a half to as much as six inches will be drenching the region, and the NWS warns of urban flooding. The NWS said to expect numerous post-frontal showers to continue across the region through Thursday with a break on Friday and more coming shortly after. Storm rainfall totals upwards of 1.5 to 2.5 inches are expected in the inland valley by Thursday afternoon. 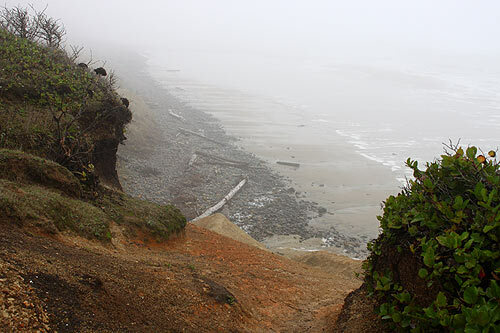 Oregon coast towns are expected to get hit with two to four inches of rain. The winner by a long shot will be the coast range, which could get as much as six inches of rain, along with the Cascades. Minor urban flooding is possible due to autumn leaves clogging storm drains. Additionally, there is a possibility of minor flooding along some of the faster-responding streams and rivers, including those on the north Oregon coast that have a tendency to overflow. The NWS said heavy rain coupled with burn scar areas from wildfires this year in the Cascades could produce landslides and debris flows. The NWS will be monitoring these closely. Look for a lull in the downpour later on Thursday and early Friday, but the NWS said another strong system may affect part of the area on Friday evening and then continuing through the weekend. The NWS said details are still not certain, but it appears southwest Washington and northwest Oregon are in for more. 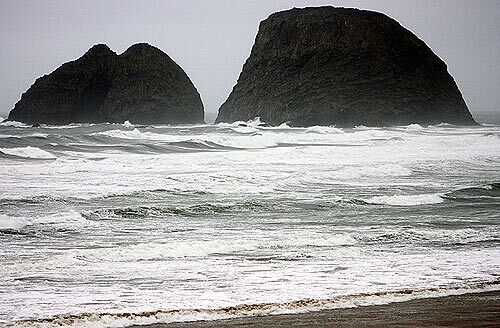 Storm watching along the Oregon coast will be good but stay away from the beaches. You can view such conditions better from rocky spots that have safe, distant parking areas, like Yachats, Oceanside, Pacific City, Depoe Bay and just south of Cannon Beach. So far, predictions are not good to see the solar eclipse today, but it may actually be a little easier to see with a camera. You will need equipment that can greatly darken the exposure. The eclipse really gets going between 2 p.m. and 3 p.m., and you may to see the eclipse with the camera through the thick cloud layer. Do NOT look directly at the sun if it has come out for during the eclipse. More Oregon weather here. More Oregon coast weather here. 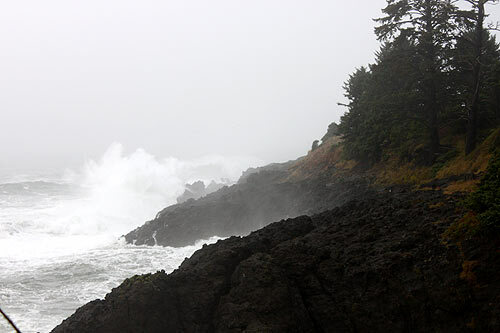 Great places to storm watch on the Oregon coast safely from a warm lodging. .